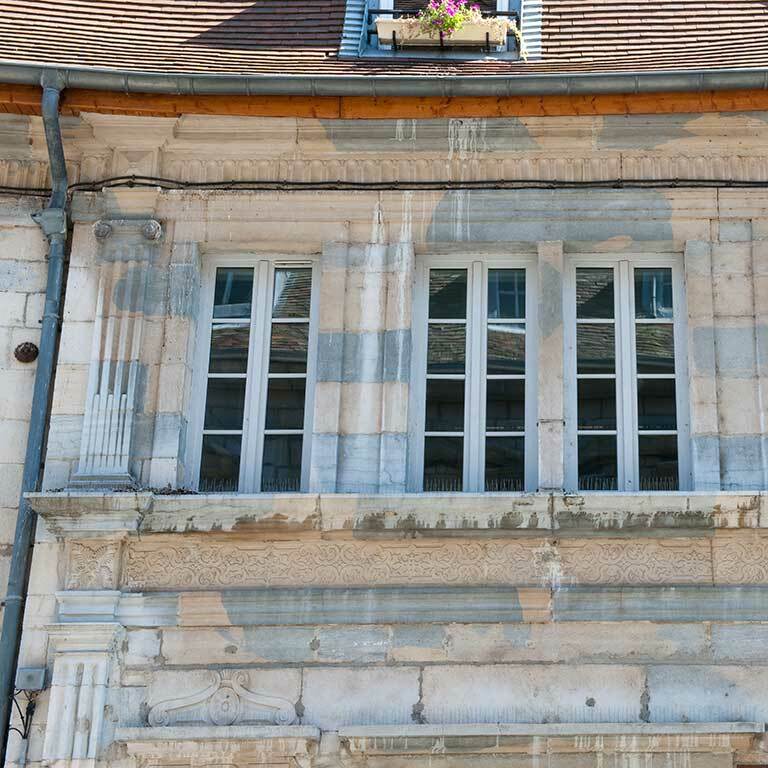 This house, which dates from the early 17th century, was built for the city’s co-governor, Claude-Antoine Buson d’Auxon. The mansion has a central courtyard and has just two storeys, like most homes built before the 18th century. 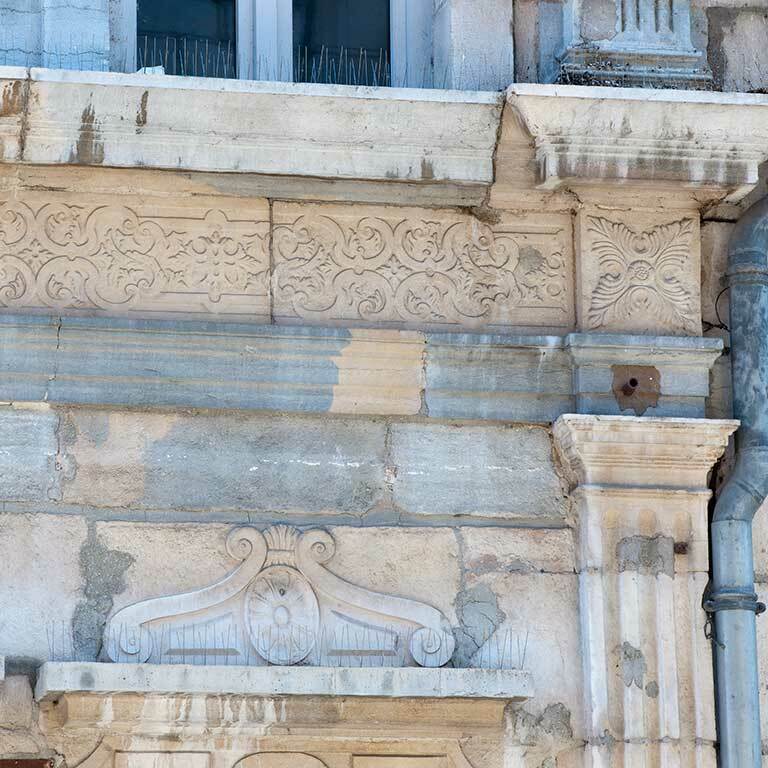 The street facade has superposed ribbed pilasters, Doric on the ground floor and Ionic on the first; the richness of decoration was unusual for Besançon. 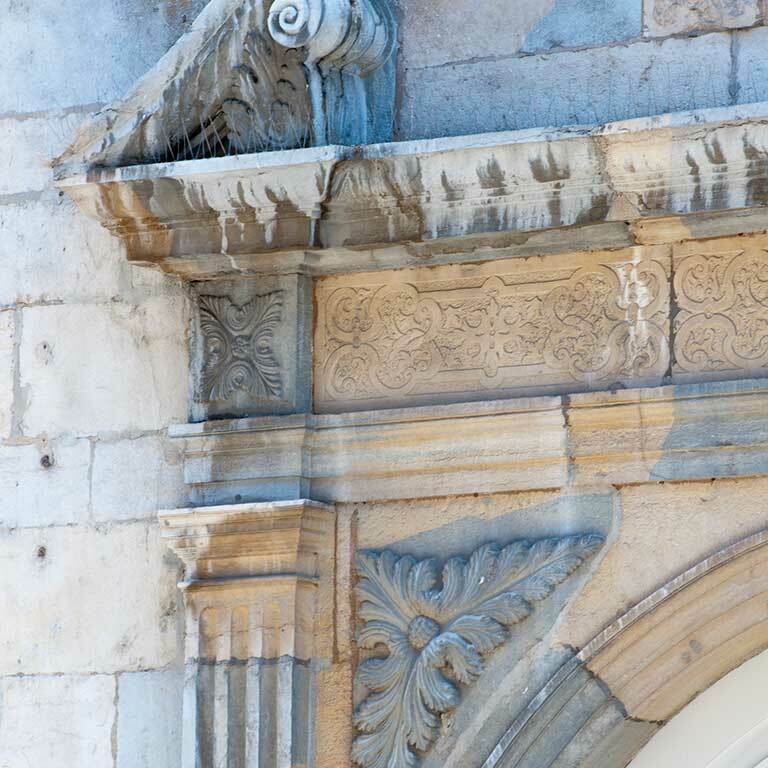 Over the doorway is a scrolled broken pediment with a cartouche which displayed the coat of arms of the Buson family. (They were struck off and no longer exist.) 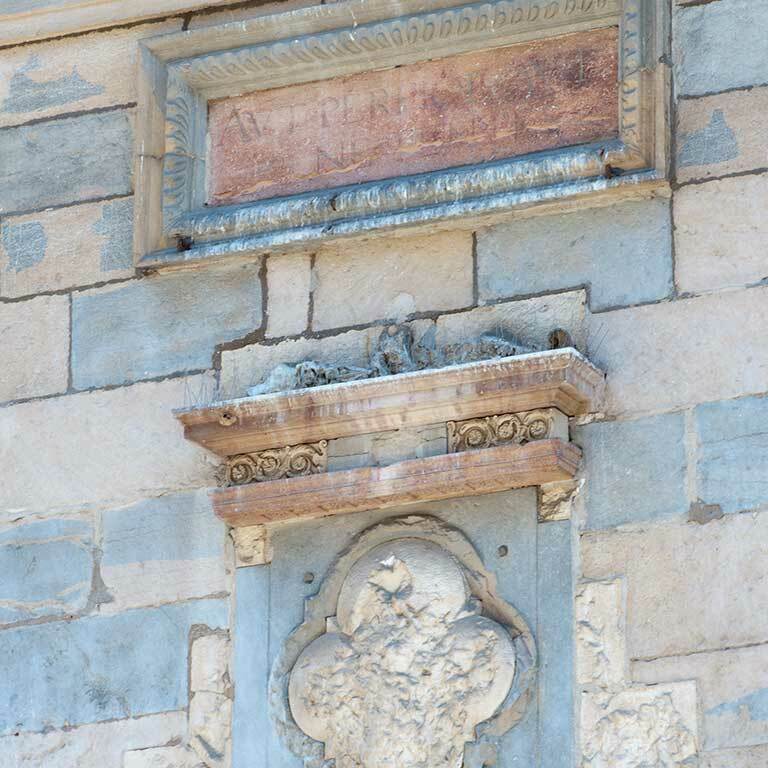 Above all this, you can see a plaque with the Latin inscription “Finish it, or don’t start at all.” The architect used different types of stone to enhance the decor: Jura red marble for decorative elements above the doorway, cream-coloured limestone for the friezes, and the local blue and beige stone, sometimes using only its blue veins.